Extra Tight RF ( radio frequency ) Rejection is achieved in our UpScale Professional Grade Microphone Cables by tying the Ground to the shell of the connector. This insures a complete mechanical ground system through the balanced line. Neutrik XLR Connectors are the clear choice for rugged durability. 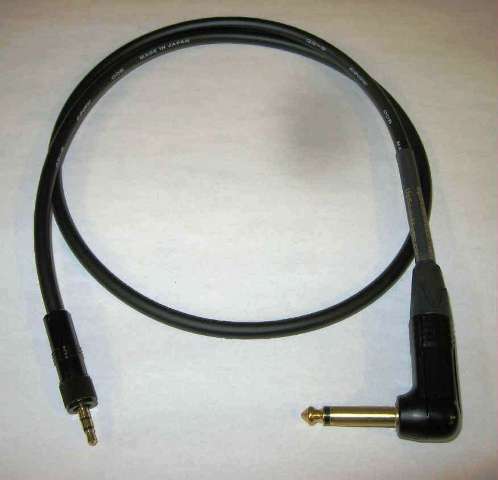 The "industry standard" XLR cable connector. Compact design with sturdy die cast shell, fiberglass reinforced hard plastic insert and chuck type strain relief for secure clamping of all cables. After close visual inspection, each cable is hand assembled, electrically tested and critically listened to in our studio. Neutrik 1/4" Mono Connectors are the clear choice for rugged durability.